On Saturday, January 28th, Ms. Townsend and Ms. Taylor took 20 4th and 5th graders to SBU where they participated in a math competition. A total of five students brought home a ribbon and/or a trophy! 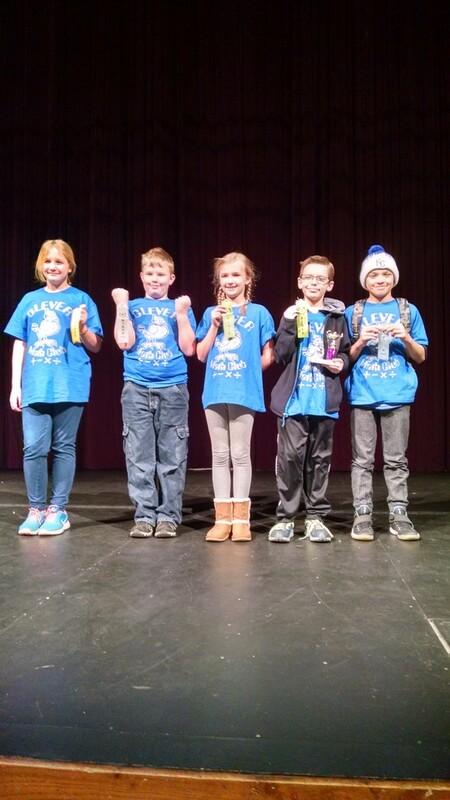 This included 5th graders Kanyon Nelson, Karli Hedge, and Cade Clements and 4th graders Maxwell Jennings and Addie Gilmore. Each of these students have qualified for Regional competition. Ms. Townsend and Ms. Taylor will be taking 14 students to another competition in Springfield on Saturday, February 11th.